Fontaines D.C. last week released their red hot debut album, and a new single, Getintothis’ Jane Davies reports ahead of their Liverpool date later this year. The much anticipated debut album from Fontaines D.C., Dogrel has landed combined with the launch of a new single Boys In The Better Land. Lauded with Getintothis’ album of the month award last time out, Dogrel has recieved critical acclaim industry wide. The track, taken from Dogrel, is their sixth single, having worked their collective socks off last year releasing five songs in close succession. 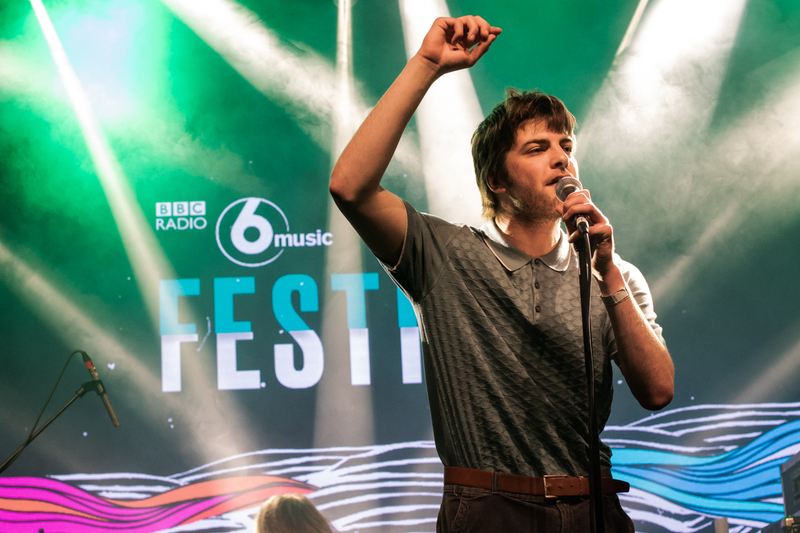 Such an impressive work ethic has not gone unnoticed and the Dublin five piece has already made their presence felt, winning critical acclaim in many circles from Steve Lamacq at BBC 6 Music. Describing themselves as poets, they have voiced their concern for the creeping gentrification of their city, particularly the old Liberties Quarter which has inspired much of their writing. This will certainly resonate with many people living and working in cities across Britain and Ireland, as lead singer Grian Chatten explains: “The reason we love the Liberties is that it seems to be where a lot of the action is happening”. We can say much the same about the Baltic Quarter, most of it good, some less so. By all accounts, the early reviews suggest Dogrel which ironically means “a crude verse of little artistic worth” could be one of the top albums of 2019. Given that they are now in the midst of a sell out UK headline tour, their meteoric trajectory shows no sign of abating after selling out their previous UK headline tour in December 2018. Not ones to stay idle for too long, they will support IDLES in May 2019 on their USA tour and have recently announced their own North American headline tour with Montreal band Pottery for September 2019. There will be no let up this summer, following their appearance at Mountford Hall as part of BBC 6 Music Festival, there will be additional sets at End of the Road, Truck, Y Not, Dour and Oya festivals have been confirmed as well as further UK dates in November 2019. These include a date at Liverpool’s O2 Academy on November 20.